My wife and I were in Washington on Thursday and Friday taking in the sights. Although I have been there at least a half-dozen times for protests, this was the first time I came as a tourist. My strong recommendation to my readers: find time to visit the town since it is a historical gold mine. If, like me, you’ve been to the mall bordered on one side by the Capitol building and on the other by the Washington Monument and Lincoln Memorial, you’ll recognize it as a place where protests are held. The most famous was when MLK Jr. gave his “I have a dream speech” in 1963 that I did not attend mainly because I was apolitical. It took the Vietnam War to politicize me and to get me on a bus in October 21, 1967 for a protest that the mall that led to a smaller group trying to levitate the Pentagon later that day. I didn’t go because I was too busy selling the Militant newspaper that now describes Donald Trump as improving the lives of American workers and keeping us out of war. The exhibits are to be found on the fourth and third floor. 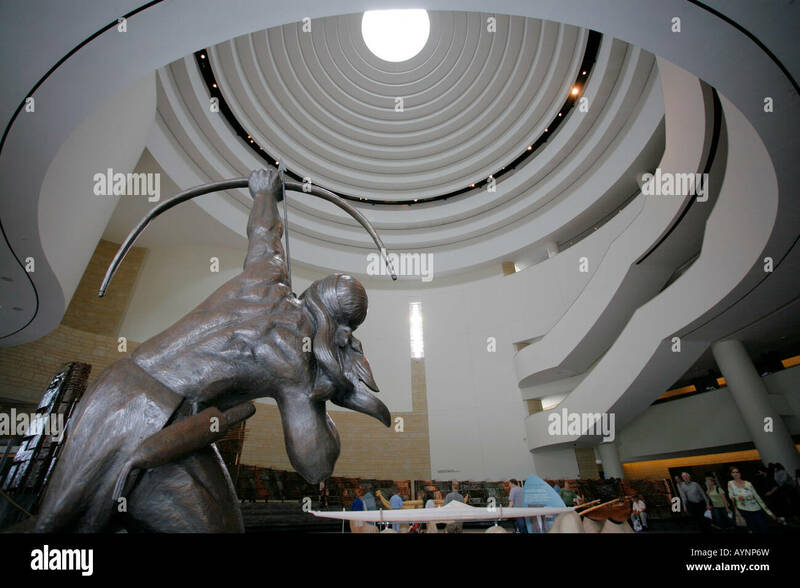 The fourth floor appeared to be a permanent exhibition of various tribes (until a better word comes along to describe societies based on blood ties, this will have to do) with a combination of artwork, clothing, tools, etc. interspersed with videos featuring elders, and written commentary on their history. The most interesting section was devoted to the Yuroks whose reservation in California consists of 84 square miles, inhabited by 5,000 enrolled members. The Yuroks were heavy into water-based fishing and hunting, either fresh water like salmon and eels, or seals in the coastal waters. For centuries, they celebrated yearly rituals on the Klamath River where most of their food originated but when it was re-engineered by whites, the canoes could not navigate the waters. As is typical in these “modernization” projects, the ecological costs were substantial. Starting in the 18th century, logging, farming, dam construction all led to degradation of the Klamath River ecosystem. At some point, a return to the past will benefit both native peoples and society as a whole. The third floor has an outstanding exhibition on the Inkas (the curator’s preferred spelling) that was a real eye-opener to me. With extensive written commentary on both this empire’s achievements and depredations, as well as displays of Inkan art and architecture, there is enough to keep you engaged for hours even though I could only devote a half-hour. It turns out that the Inkas built a 24,000 mile road that connected all the regions that were part of their empire. The said Yncas governed in such a way that in all the land neither a thief, nor a vicious man, nor a bad dishonest woman was known. The men all had honest and profitable employment. The woods, and mines, and all kinds of property were so divided that each man knew what belonged to him, and there were no law suits. The Yncas were feared, obeyed, and respected by their subjects, as a race very capable of governing ; but we took away their land, and placed it under the crown of Spain, and made them subjects. Your Majesty must understand that my reason for making this statement is to relieve my conscience, for we have destroyed this people by our bad examples. Crimes were once so little known among them, that an Indian with one hundred thousand pieces of gold and silver in his house, left it open, only placing a little stick across the door, as the sign that the master was out, and nobody went in. But when they saw that we placed locks and keys on our doors, they understood that it was from fear of thieves, and when they saw that we had thieves amongst us they despised us. All this I tell your Majesty, to discharge my conscience of a weight, that I may no longer be a party to these things. And I pray God to pardon me, for I am the last to die of all the discoverers and conquerors, as it is notorious that there are none left but me, in this land or out of it, and therefore I now do what 1 can to relieve my conscience. When I got back to the Museum of African-American History, there were about 300 people lined up to buy a ticket. So, maybe next time… In any case, if you want to see this museum, you’d better buy a pass the day before. Undeterred and with another half-hour to spare before I hooked up with my wife, I hit the first museum next to the Museum of African-American History, which appropriately enough was the Museum of American History. Expecting the usual patriotic gore, even more so by entering the gallery devoted to the American military, I was pleasantly surprised by the strong political edge on how an empire was built that put the Inkas to shame. Generally the officers of the army were indifferent whether the annexation was consummated or not; but not so all of them. For myself, I was bitterly opposed to the measure, and to this day regard the war, which resulted, as one of the most unjust ever waged by a stronger against a weaker nation. It was an instance of a republic following the bad example of European monarchies, in not considering justice in their desire to acquire additional territory. Texas was originally a state belonging to the republic of Mexico. It extended from the Sabine River on the east to the Rio Grande on the west, and from the Gulf of Mexico on the south and east to the territory of the United States and New Mexico—another Mexican state at that time—on the north and west. An empire in territory, it had but a very sparse population, until settled by Americans who had received authority from Mexico to colonize. These colonists paid very little attention to the supreme government, and introduced slavery into the state almost from the start, though the constitution of Mexico did not, nor does it now, sanction that institution. Soon they set up an independent government of their own, and war existed, between Texas and Mexico, in name from that time until 1836, when active hostilities very nearly ceased upon the capture of Santa Anna, the Mexican President. Before long, however, the same people—who with permission of Mexico had colonized Texas, and afterwards set up slavery there, and then seceded as soon as they felt strong enough to do so—offered themselves and the State to the United States, and in 1845 their offer was accepted. The occupation, separation and annexation were, from the inception of the movement to its final consummation, a conspiracy to acquire territory out of which slave states might be formed for the American Union. The only other thing worth mentioning is the class divide in Washington that might be even more extreme than in New York City. Like NYC, Washington is bustling with new construction projects. You can’t walk five blocks without seeing a high-rise or office building under construction. At the same time you see beggars everywhere, all African-American, as opposed to the whites who dominate NYC’s sidewalks bearing signs about their plight (often accompanied by a pet dog or cat to gain sympathy.) I imagine that many of these white kids in NYC are genuinely homeless but their chances of getting paid are much better than Washington’s poor who are not even visible on the Metro. We walked up to the rear end of the White House to check out if any protests were going on. There were but only mounted by cranks. Who knows. If the left can get it together to organize a national protest against Trump on the mall, I might return. Tickets to the NMAAHC are free, they cannot be bought. Thanks for the letting me know about these museums. My wife wants to drag myself and my son to DC, and now I know some places that we can go that I are really interesting. I always enjoyed the National Gallery of Art, the Smithsonian (huge), the National Air & Space Museum, and especially the Lincoln Memorial (which you could actually walk into when I went, long ago). It is also sobering to see Arlington National Cemetery. Here is a snapshot I took there long ago. 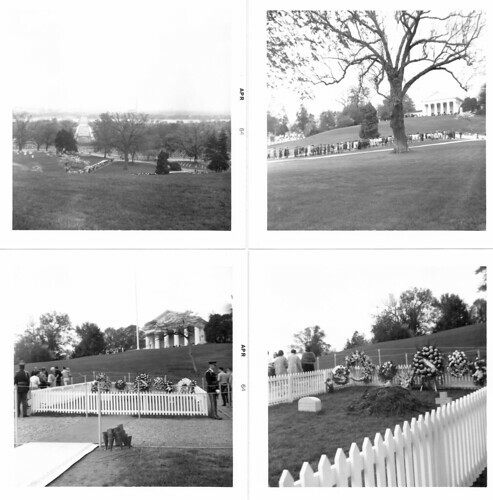 My quartet of photos is of the JFK grave site in April 1964. In addition to the foregoing, I recommend a side trip to Tudor Place and Dumbarton Oaks, two former mansions within a few blocks of each other in an ultraritzy part of Georgetown that are both beautiful and sinister and reflect the allure of American aristocracy more faithfully than anything by Gore Vidal. I wanted to add a couple of snapshots but couldn’t figure out how to do it alas. That’s what you get for turning seventy. Please, Mr. Custer … . Thanks for the educative and enlightening “expedition.” Unfortunately, the rich and orderly Inka empire was brutally destroyed and replaced with an evil society whose atrocities are immeasurable. A society that has sacrificed genuine liberties and human dignity on the altar of capitalist profit. A society of economic and socio-political gangsters who today pride themselves as Republicans and Democrats. They pauperize and criminalize humanity and anoint themselves heroes. Next trip, Louis, you might hit the Textile Museum (now within the GWU complex) where often on display are a range of works from the middle east and central asia (e.g., suzani, persian carpets) as well as those of many other cultures (e.g., batiks from Indonesia). Also, do not miss the National Portrait Gallery, where fine rotating photo exhibits temporarily reside.